Order your shirt now and show that your class is #1 at the fall pep rally! All funds raised will be paid directly to Easthampton High School Student Council for the purpose of funding participation in regional and state leadership training activities. This year, as a new and exciting project, we are offering uniquely designed class t-shirts for all students and staff. These shirts are great for showing your EHS pride at pep-rallies, sporting events, and they even make excellent gifts. Support the student council and show your EAGLE PRIDE! Each shirt sold will directly support student council activities and leadership development here at EHS. We are the Student Council of Easthampton High School. The EHS Student Council strives to give students voice and develop each members ability to take on a leadership role within the school community. We plan and support student activities throughout the school year, while expanding to collaborate with student councils from across the state to find new and exciting ideas for EHS. 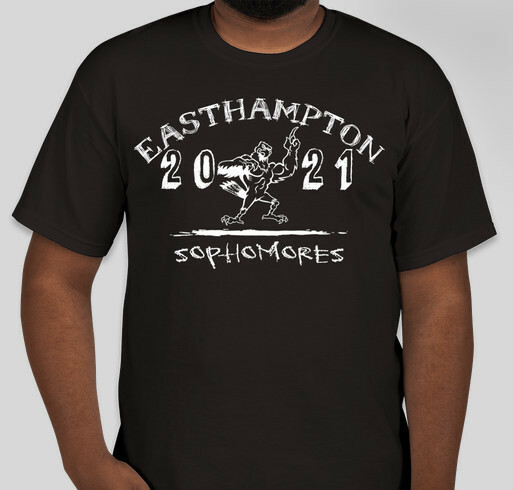 Share Why You Support "EHS Sophomore Class T-Shirt"